Formerly known as Total Hits. Total Hits and Giggy Sound produced 2 compilation CD’s (Menu Music & Menu Music 2) featuring local artists that play in cafes & restaurants. This web site is now dedicated to those people on the Menu Music CD’s as well as other projects managed by founder Scott Arnold-Eyers. After the success of the first Menu Music compilation album, Total Hits and Menu Magazine once again teamed up to feature original artists from WA’s cafe and restaurant scene! We featured 10 artists in Menu Magazine Issue 14 and on a CD sampler that is distributed to cafes, restaurants, bars, radio stations and record labels. Click here to check out the artists and for bookings click here. 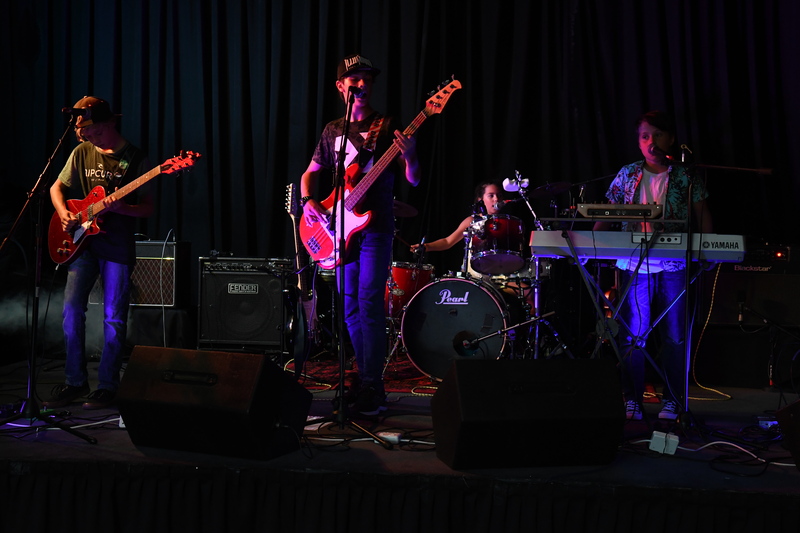 After a massive 2019 so far playing at Proud Mums Proud Dads, Mojo’s, Scholarpalooza at The Garage, Araluens Chilli & Avocado Festival, Nannup Music Festival and Splashfest, The Younglings will launch their debut CD at The Indi Bar on May 4th. Mr Arnold-Eyers & The Cappuccino Orchestra next play at Funk Cider on April 6th. Staccato finally launched their long awaited album on Drop Card along with the video We Wait. Big thanks to Mojo’s and support acts Tashi, Stone Cold Super Friends and Select Few. Bass player Peter Twiby will undergo hand surgery and the band hope to be back playing soon. The Cappuccino Orchestra have started recording recently on what is rumoured to be part of a best of CD for front man Mr Arnold-Eyers. Members of Mr Arnold-Eyers & The Cappuccino Orchestra, Staccato, Graphic Fiction Heroes, Simon Kelly & The Big Bamboo, The Moonshine Trust, The Big Jack and Diamond Soul have completed 2 memorable shows at The Newport Hotel‘s Record Club and Amplifier where they played songs from Cake’s Fashion Nugget LP under the name “8 Piece Cake”. You never know. One day they may do it again.